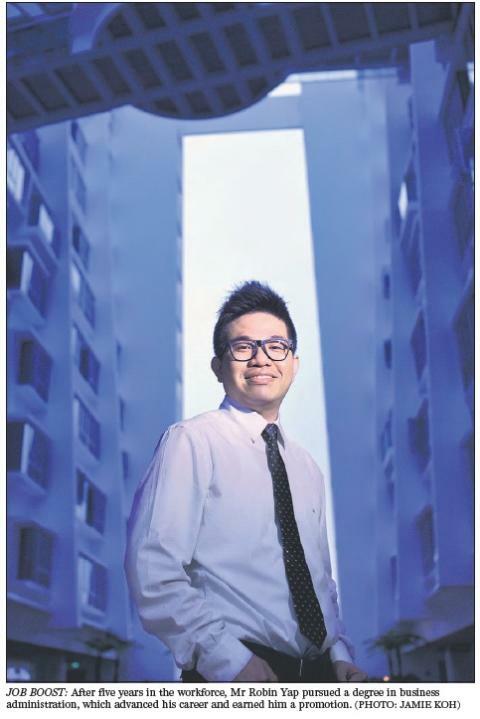 Mr Robin Yap, 33, decided to return to his studies in 2010, after working for five years. He had a diploma in business from Nanyang Polytechnic, after a aborted stint studying for a bachelor’s degree at Singapore Institute of Management. Said the program manager: “I decided to get back to studies because the harsh reality is that you need a degree to climb up the corporate ladder. My company advised (me) to get further education in order (that it could) promote me. “It’s also a wish of my mother to see me graduate with a degree, and I didn’t want to let her down. 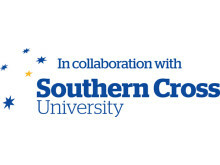 This unfulfilled ambition was what spurred me.” After pondering his options, he decided on a part-time bachelor’s degree programme in business administration (specialising in marketing) offered by Australia’s Southern Cross University. He explained: “Firstly, the programme cost was reasonable. Secondly, the course schedule was during weekends, which is less disruptive to my work and also makes me more disciplined to not go partying on Fridays. When the course began, Mr Yap found the transition to be smoother than expected. “There was actually very little culture shock upon my return to studies,” he said. “The concepts taught were familiar to me as I’d been in the corporate workforce. Despite the relatively short course duration, Mr Yap found that the programme opened his eyes to many different aspects of business administration. He said: “(With regard to) project management, I had no idea about the nitty-gritty requirements involved. “We also had to do video recordings of our sales pitches, and these are things which are very relevant to my career.” The rewards from taking up the course came almost immediately. Upon graduation, Mr Yap’s company immediately promoted him from a claims and compliance account manager to his current position. The MDIS Business School (MBS) is the largest and most established school in the institute. It is also one of the largest business schools among private-education institutions in Singapore, with an annual intake of more than 4,000 students. MBS offers more than 40 programmes, ranging from certificates to doctoral degrees.It has successfully launched specialisations in the areas of business management, marketing, international business, and banking and finance. 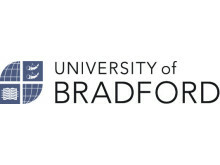 It offers programmes by four renowned partners: the University of Bradford, the University of Wales, Southern Cross University and Grenoble Graduate School of Business. It has nearly 300 associate lecturers, selected based on their passion for teaching, work experience with organisations worldwide, and for insights gained from teaching students from over 74 countries. MBS also conducts seminars and industry talks and visits, and offers internship and job opportunities.Commencement dates for this year’s intake: June and October, for both day and evening programmes. Source:[MyPaper 06032012] © Singapore Press Holdings Limited. Reproduced with permission.